1. You’re tired of viewing cities from dry land. In 2011, the city made it easier than ever to explore San Antonio via waterway, by opening up sections of the San Antonio River for kayaking and paddle boarding without a permit. Now, seeing the city from the water is a popular activity for both visitors and locals. There are multiple “zones” of the river to explore — check out one of San Antonio’s most historic neighborhoods in King William, or access the UNESCO World Heritage complex of missions on the Mission Reach section, south of downtown. Mission Kayak offers hourly kayak rentals, group excursions, and guided nature trips, while SUPSATX can set you up with a board. If you’ve never been SUPping, grab a quick lesson and then take a guided paddle board tour of famous San Antonio landmarks. If you’re really feeling brave, strike your favorite yoga pose on the board for an Instagram-worthy moment. 2. You want to practice your warrior pose and your beer appreciation skills — almost simultaneously. With its accommodating climate, San Antonio is the perfect city to practice the art of yoga out in nature. One popular place to roll out the mat is the Hays Street Bridge, a pedestrian bridge in the middle of downtown that provides incredible views of the city skyline. 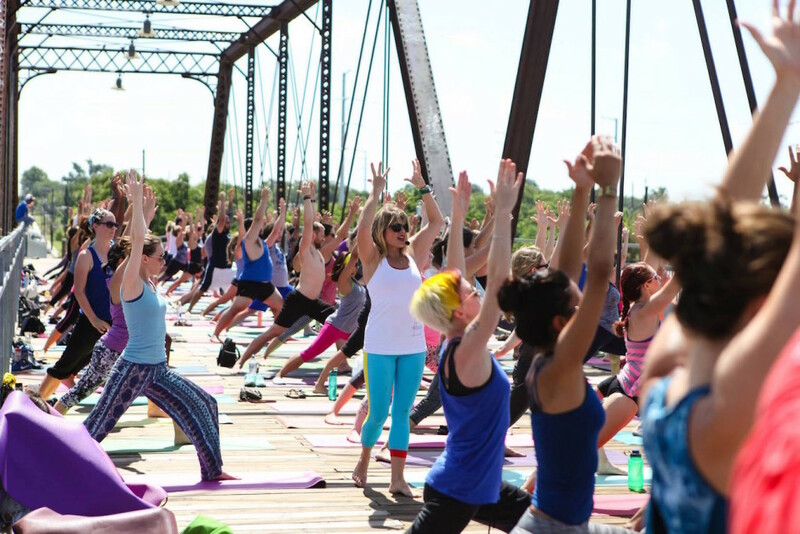 Local yogis love to practice in groups on the bridge and then walk over to the adjacent Alamo Brewery for a post-Balasana Pilsner. Or you can even do yoga at the brewery by joining up with Mobile OM, a company that specializes in taking yoga to “unconventional and unique locations” all around San Antonio. 3. You need to work off those inevitable breakfast tacos. One of the best — and most affordable — ways to explore San Antonio is by utilizing the city’s public bike sharing system, BCycle. 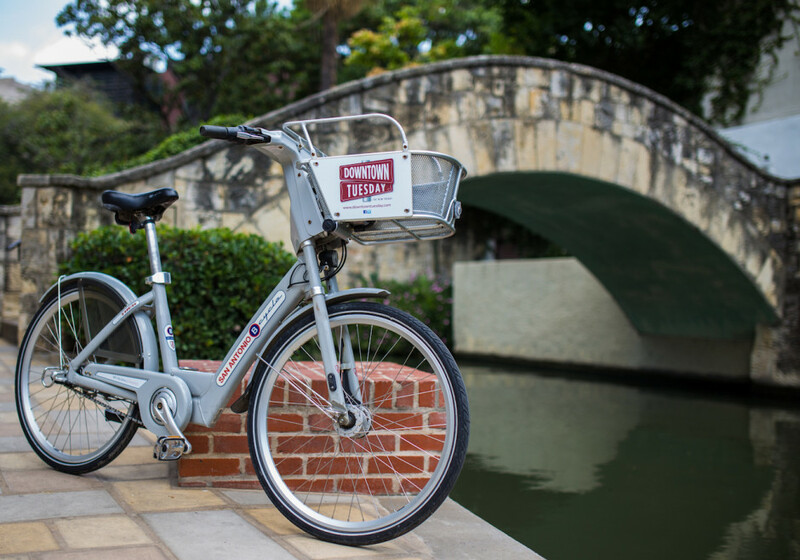 With over 50 stations spread throughout the city and costing only $10 a day, BCycle is a friendly way to take advantage of the city’s expansive bike trails that lead in and out of urban centers and historical districts along the San Antonio River. One benefit of using BCycle is being able to park the bike as needed and pick up a new one at a different station, making it easier to explore without having to constantly tote the bike around. Even better, the bikes are equipped with computer systems that will inform you of the carbon offset of your trip and the number of calories (read: breakfast tacos) you’ve burned. 4. You want to explore Mexico from your backyard. Market Square, or El Mercado, considered the largest outdoor Mexican market in the United States, is the place to go to experience San Antonio’s unique cultural heritage. Here you can explore over three blocks of vendors selling traditional Mexican products like maracas and sweet Mexican vanilla, snack on awesome street food, and learn more about traditional arts like leather making. Depending on your mood, you can either step out of your comfort zone and join in for some street dancing to the mariachi music or take a seat in the warm San Antonio sun and throw back a cerveza. 5. You’re on the lookout for cute critters and ancient monsters. San Antonio’s first European settlement was founded in the early 1700s, and native peoples resided here long before that, but you’ll have to head out to Government Canyon State Natural Area to see what was left behind by the city’s original inhabitants — dinosaurs. The park, which covers over 12,000 acres, has more than 40 miles of trails to explore; to see the dinosaur tracks, take the Joe Johnston Route and walk a little over 2 miles to marker #19. And no, you won’t miss them — there are hundreds. Come for the dinosaurs, but stay for the birds — Government Canyon is home to the endangered golden-cheeked warbler, a yellow-headed bird that can only be found in the Lone Star State (migrating to parts of Central America in winter). Access to the natural area is free for children 12 and under and $6 for adults. It’s closed Tuesday through Thursday to provide time for conversation and scientific endeavors, so plan your trip accordingly. 6. You want to see the city as the Spanish did. One of the most unique activities that will get you outside in San Antonio is a trip to San Antonio Missions National Historical Park. Here you can learn about the history of the Spanish in South Texas, their lives here and attempts to convert the region’s native peoples to Catholicism, by visiting four beautifully preserved missions. Designated a national historical park in 1983 and a UNESCO World Heritage Site in 2015, this isn’t your typical monument. Each mission is essentially a mini-park, located two or three miles from the next and easily accessible by foot or bike on the Mission Reach extension of the River Walk. 7. You’re looking to channel your inner John Wayne. Of course, the most famous San Antonio mission of them all is the Alamo. Originally known as Misión San Antonio de Valero, it was built in 1744 and gained international recognition for the historic and bloody battle waged here in 1836. For 13 days, over a thousand Mexican troops laid siege to the mission, which was defended by 200 or so volunteer Texans. The latter were eventually defeated, but their bravery inspired Texan forces to go on and win the war, resulting in Texas’s independence from Mexico. Though the Alamo was enshrined on the big screen by John Wayne in 1960, there’s no need to hide behind the TV when you can get out and explore the history of this hollowed ground for yourself. Find it in Alamo Plaza, in the middle of downtown San Antonio. 8. You’re feeling a leisurely booze and cruise along the city’s liveliest attraction. After a long day of exploring the Missions, biking the trails, and reliving the history of the Alamo, it makes good sense to unwind on the San Antonio River Walk. We’re not talking the Mission Reach section where you’ve been getting your sweat on, or the Museum Reach that takes you by the city’s premier art spots. This is the original, the riverside trail that runs right through downtown past San Antonio’s busiest hotels, restaurants, bars, and clubs. There are many entrance points to the River Walk, located steps below street level, but you’ll find quick access right across the street from the Alamo. Down on the river, you’ll be mesmerized by the beautiful curving paths, picturesque bridges, mariachi music hanging in the distance, and drink specials that will keep you on the patio all night. Order some phenomenal Tex-Mex, take your time with a margarita, and then hop on a boat with Rio San Antonio for a cruise on the water. It’s pretty much the de facto way to end your day in the Alamo City.